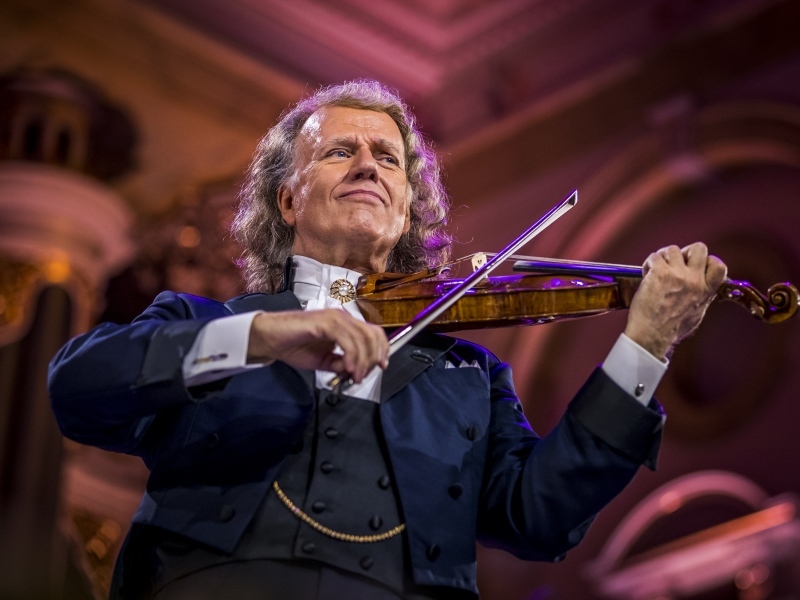 Don’t miss this unique opportunity to see André Rieu Live in Amsterdam. As ever, he’s joined by The Johann Strauss Orchestra to perform their traditional, festive New Year’s concert at the Ziggo Dome Arena in Amsterdam, the elegant, cosmopolitan capital of his home country. An extraordinary night of musical entertainment awaits you in this magnificent setting. Dates and prices on this page are based on departures flying from Aberdeen, Edinburgh, Glasgow & Inverness only. Flights also available from airports in England & Wales priced from £499pp – flights available from Birmingham, Bristol, Cardiff, Doncaster Robin Hood, Durham Tees Valley, East Midlands, Exeter, Humberside, Leeds Bradford, Liverpool John Lennon, London City, London Gatwick, London Heathrow, London Luton, London Southend, London Stansted, Manchester, Newcastle, Norwich & Southampton – click here for more information on dates & prices. The advertised price includes a 65€ face-value, CAT 4 seated ticket. Upgrades to 75€ face-value CAT 3, 95€ face-value CAT 2 and 105€ face-value CAT 1 tickets are available for supplements (upgrade prices will be displayed during the booking process and will include any booking fees). Please note this is an indoor concert. Single supplements may apply and single rooms may be limited. Offer and prices are subject to flight/hotel availability. Fly to Amsterdam, meet your Tour Manager and transfer to your chosen hotel. You will then have the rest of the day free to explore Amsterdam or to relax before tomorrow’s excitement begins. After breakfast, you’ll travel to central Amsterdam where you’ll have the morning and early afternoon free to shop and sightsee. Visit famous sights such as the Van Gogh Museum, the Royal Palace and the renowned Rijksmuseum, or perhaps enjoy our optional private cheese and wine cruise. In the evening, our coach will transfer you to the Ziggo Dome – Amsterdam’s largest and most famous concert venue – and you’ll take your seat for a spectacular New Year concert performance by André Rieu. The Waltz King will be accompanied by his Johann Strauss Orchestra, Choir and Soloists, as well as several special guests, and the evening promises to be filled with their trademark waltzes, beautiful melodies from opera, musicals, film and classical music, as the magical atmosphere of Vienna’s 19th-century Dance Halls is lovingly recreated. Transfer back to the airport to board your flight home, taking with you a host of memories of a very special break and André Rieu’s unforgettable New Year concert.